Within Teamwork Projects, you can edit the date that a milestone was marked as completed if you are a site administrator, project administrator or have permission to edit milestones. To change a milestone's completion date, go to the Milestones area of the project, and select the Completed milestones tab. Click the name of the milestone you want to update, to go to the Milestone details view. On the left hand side of the Milestone details page, you will see Date Completed, with a link to modify the completed date. 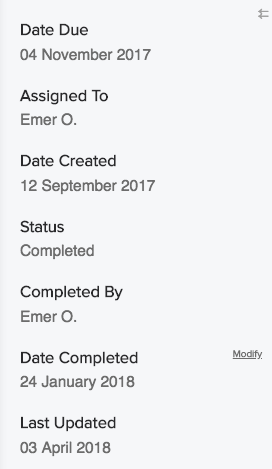 In the modify modal, you can change the person who completed the milestone, as well as the date the milestone was completed. Click Apply Changes to save the new milestone properties.